Imagine a building filled with people who are forced to be there, under constant supervision by the authorities, with limited freedom. The building is secured, patrolled by guards, and life is heavily structured and scheduled. People who are forced to be there must adhere to a specific dress code, require permission to do almost anything, have little say in the decisions that affect them, move from place to place only when told to do so, and engage in everything from eating meals to exercising to taking classes. Depending on your perspective, you might have read the description above and imagined completely different places. But I would argue they are not actually so different. Because that description is a perfectly accurate description for two places most people do not associate together: a minimum security prison and a high school. 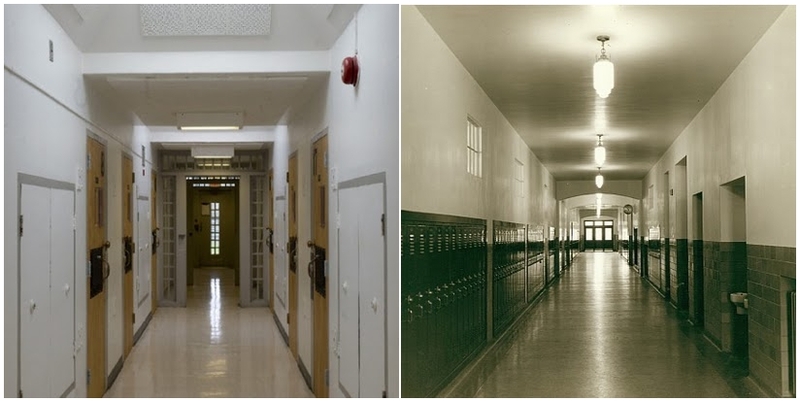 Can you tell which is the high school and which is the minimum security prison? Even the societal systems of high school and prison are similar. The strong survive. Gangs exist. Fights happen. Gossip is king. Racial segregation, while not sanctioned or encouraged by the authorities, clearly exists and is a source of tension. Those forced to be there vastly outnumber those who are tasked with keeping them there. The similarities are truly endless. Sweeps by armed law enforcement officers looking for drugs/weapons are commonplace. 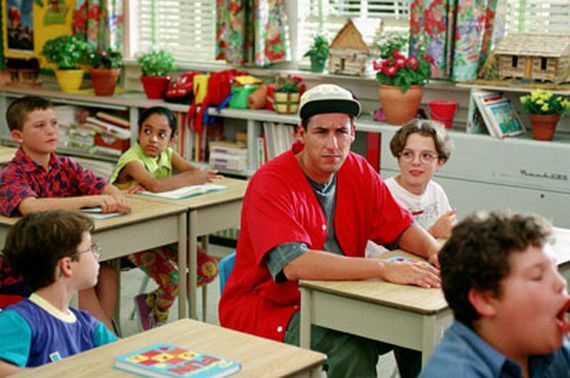 I would make the argument that, for eight hours a day, for a minimum of 700 days, every American citizen is placed into a setting that resembles a minimum security prison: high school. The only difference is that, instead of being there 24/7, you are only there for eight hours a day, five days a week. And this system is designed to even-out American society and ensure that all citizens can function properly within it. If you don’t show The System that you have developed in the ways society expects by the end of your term, you can see that term as much as double in length. For most of us, that is the closest we will ever come to experiencing prison. When The System deems you fit to exist within society, you are released into the world after graduation. Upon release from high school, you are expected to function properly, based in what you learned while you were there. If you show that you didn’t learn what you were supposed to learn – if you go against The System – then we call that action “crime.” By committing crime, The System simply refers you back to where you came from. And since can’t put a 25 year old in a high school, it puts them into prison. Not based on a true story. Obviously, the nature of crime determines sentencing. If The System believes a person is “too far gone” to rehabilitate, it doesn’t care to send them back to school. Our only priority, as a society, is to take those people who are deemed unfit on every level and force them to live separately from the rest, without any real regard for rehabilitation. 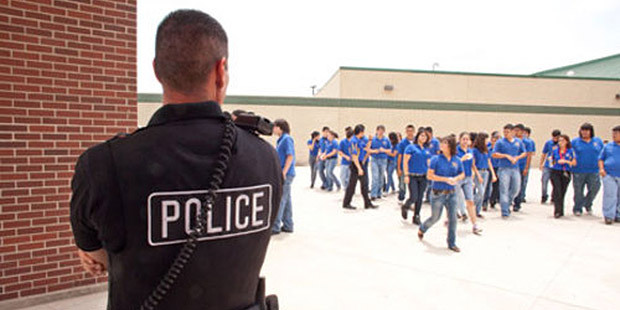 Anything above a minimum security prison is little more than a highly-secured school of crime where The System now does everything it can to hinder the educational process. Conversely, a minimum security prison is designed for rehabilitation and education: to repeat the lessons that didn’t sink in the first time. I have few opinions as to the merits or detriments involved in a system that functions in this way. I believe the most important part of understanding The American System is to understand the way people are entered into it and removed from it, what is desired, and what actually occurs. I leave you to work out the morality of whether or not innocent children should be placed into a prison setting, or whether guilty criminals should be taken back to school. I leave you only with the reality that, in terms of the goals of society and The System whose function it is to serve, school and prison are essentially the same thing. This entry was posted in Taiwan Writings and tagged america, civilization, crime, high school, jail, minimum security, prison, punishment, rehabilitation, school, society, the system, usa.